As the days get hotter and the summer schedules keep getting jam packed with things to do & places to go, I get sweaty and stressed. But seeing a simple word as I drive across the Lamar bridge… I remember my breath, let out a sigh and am thankful for being. 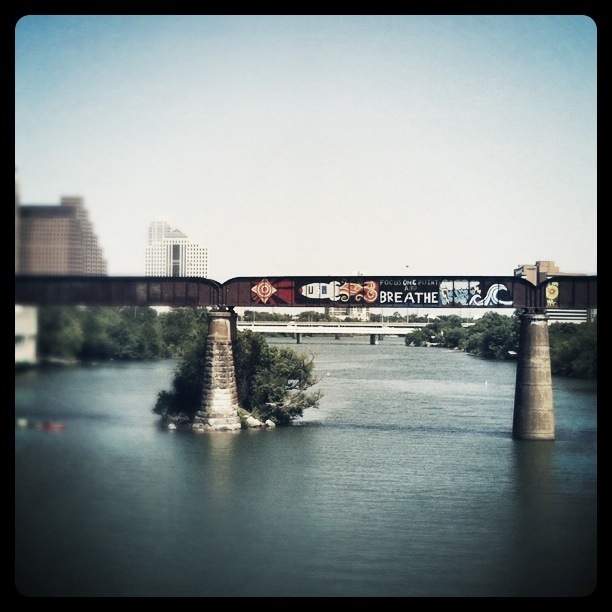 Being alive, being able and being in Austin.